ACTICO Cloud Services offer a simple, flexible and cost-effective way to use ACTICO software. ACTICO software is designed to support today’s cloud-based digital transformation initiatives. Companies can use ACTICO Platform to drive cloud-based automation and decisioning as well as ACTICO’s business solutions as managed services. In both cases, companies achieve greater agility, use ACTICO software more effectively, reduce IT strain and cut costs. ACTICO Cloud Services enable customers and partners to build their own applications and services based on ACTICO Platform and run them in the cloud. Whether intelligent automation or digital decisioning – companies can rapidly deliver tailor-made solutions to meet their individual business challenge. Companies can use ACTICO’s business solutions in the cloud. The entire infrastructure is provided, monitored and maintained by ACTICO. This approach enables companies to focus on their core business instead of dealing with IT-related tasks. 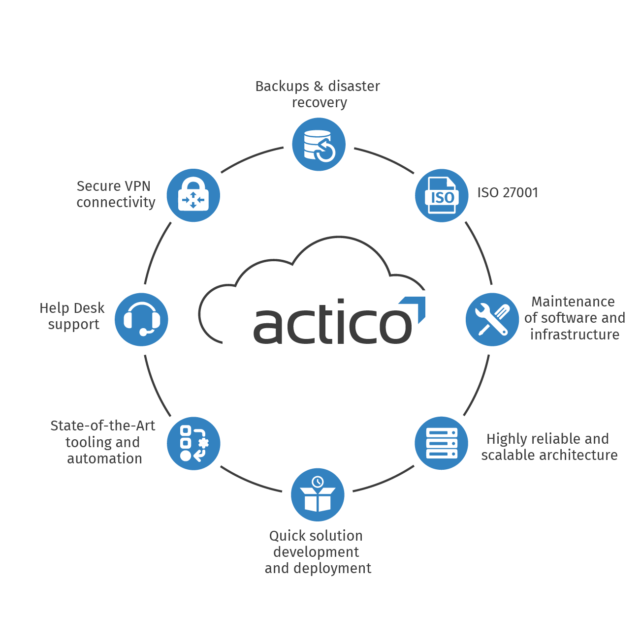 With ACTICO Cloud Services, all hosting, infrastructure and system management tasks are managed by ACTICO. Customers benefit from big economies of expertise. 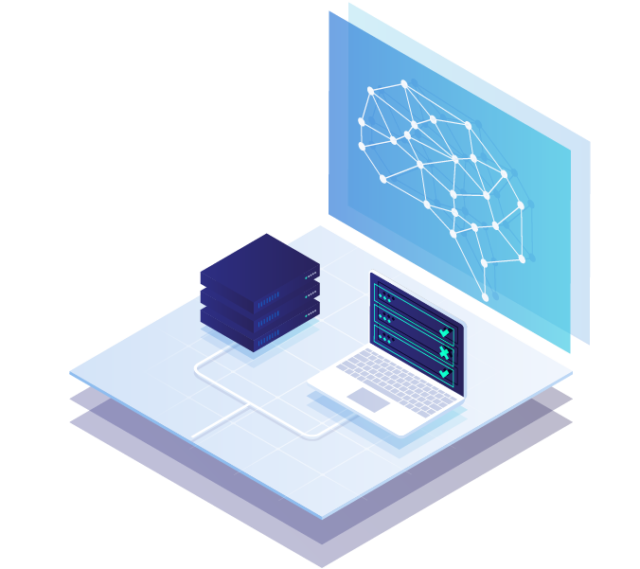 ACTICO’s engineers manage not only the customers’ computing, storage, networks and operating systems, but also the tools and application stacks that run on top of that infrastructure, allowing businesses to benefit from fast and easy access to ACTICO software. Reduce IT strain with managed infrastructure, maintenance and software updates. Realize significantly lower TCO compared to in-house solutions. Multiple deployment options for running your strategic applications in the cloud, on premise or hybrid environment. Focus on your core activities and let ACTICO manage your cloud.